Xana Bard is recovering nicely from her fractured ankle when DeLeon Davies bursts into the East-West Cafe and tells her that his sixteen-year-old daughter has been kidnapped by a cult. How will Xana and Thorne Ardall, the man her mother refers to as Xana’s “thug swain,” rescue DeLeon’s daughter Netta? And why will Xana then volunteer to join the cult? 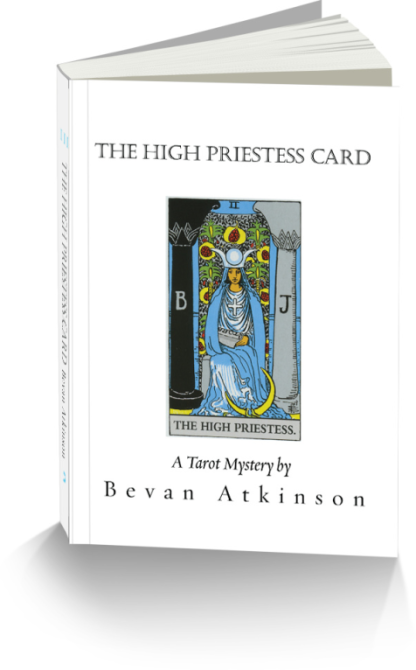 In this third book in The Tarot Mysteries series, Xana and Thorne conspire against the cult’s female autocrat, who calls herself Renenet, “goddess incarnate of prosperity and abundance,” and in the process they learn just how perilous organic farming can be. "Read while on vacation in London. Kept me connected with home while there. Easy reading...entertaining...great character development. My favorite so far!"